Once you have designed and printed your leaflets, It’s now time to start planning your distribution. So, before you start the campaign, consider these 5-top tips to ensure success. Many businesses opt for the door to door method as this seems like the most logical, especially if you have a very specific geographical and economical target. This targeted method makes sense, especially if you are delivering high quality print leaflets. But, if you have printed leaflets for a bar or restaurant in a city centre area, it may also be worth considering the hand to hand leaflet distribution method with Brand Ambassador wearing your brand. First impressions are key. Don’t dress your leaflet distributors in black, or permit them to wear their own clothes. Branding is essential and you want your company, along with your leaflet, to be recognisable. Providing your staff with a uniform will give you this recognisability as well as professionalism and will make you stand out from the crowd. Choosing to deliver your leaflets by hand means that you will need to consider timings to allow for the correct time to maximize the footfall of the target audience. This means that you are targeting your customer at the most opportune time. This is not as important when it comes to door to door leafleting as most people will check their post daily when they get home. 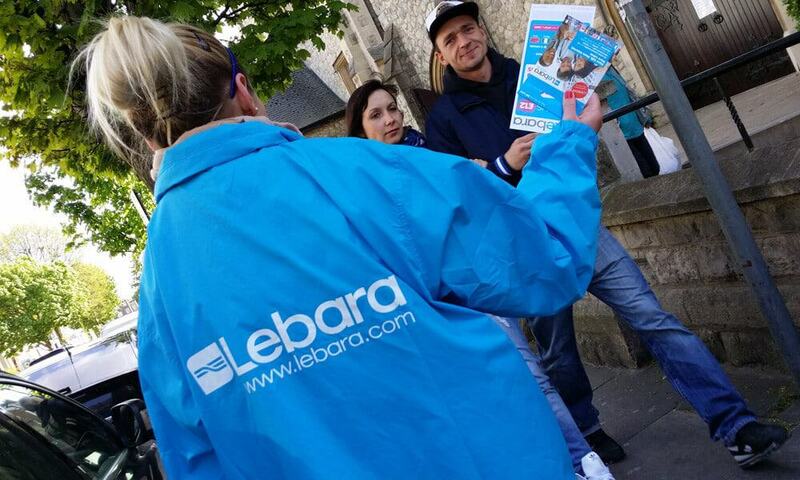 Opting for hand to hand leaflet distribution method means that Brand Ambassadors will also have a chance to communicate with your target audience. This is another great marketing opportunity for your company. Picking friendly and approachable staff and educating them with the necessary information about your brand is key. This will give customers something more than just a leaflet; you will give them a customer service experience. In 2005, the UK introduced the Clean Neighbourhoods and Environment Act. This means you cannot distribute leaflets in most major cities in the UK without a permit to do this. Get advice on getting the right permits for the right places from your local council. If you would like more advice on printing a leaflet, staffing enquiries and leaflet drops, feel free to contact us. At GottaBe! every campaign is bespoke and tailor made to our clients need. So, sit back and let us take care of your brand awareness. Written by John Stoffel, Business Development Manager at GottaBe!